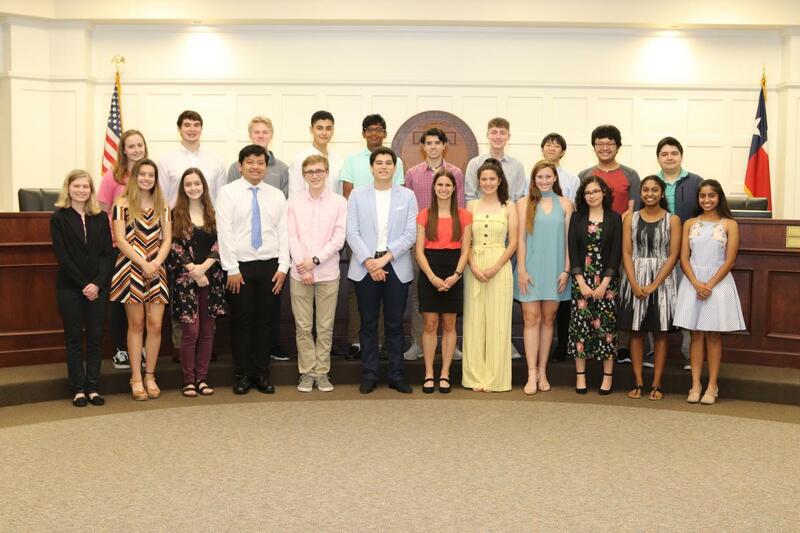 Tomball ISD was well-represented in the National Merit Scholarship Program as both Tomball Memorial High School and Tomball High School students were recognized for the exceptional work in the classroom and beyond. These students were honored in front of the Board of Trustees, the Tomball ISD Executive Team and guests during the April School Board Meeting. Five students were honored as a Finalist in the National Merit Scholarship Program. These students will earn them the prestigious Merit Scholar® title and will be included in the awarded scholarships worth more than $32 million. 14 TISD students were honored as a Commended Student in the National Merit Scholarship Program. Commended Students placed among the top 50,000 of over 1.6 million students who entered the 2019 competition by taking the 2017 Preliminary SAT/National Merit Scholarship Qualifying Test (PSAT/NMSQT®). 10 TISD students were selected as 2018 National Hispanic Recognition Program (NHRP) Scholar recipients. The NHRP is recognizing about 5,300 Hispanic/Latino students selected from a pool of over 259,000 students who took the 2017 PSAT/NMSQT/PAA™. These students have a junior year cumulative GPA of 3.5 or higher and is designated as a Scholar.